Seema Eye Care Centre firmly believes in giving back to the community and using our knowledge and skills to help those less fortunate. 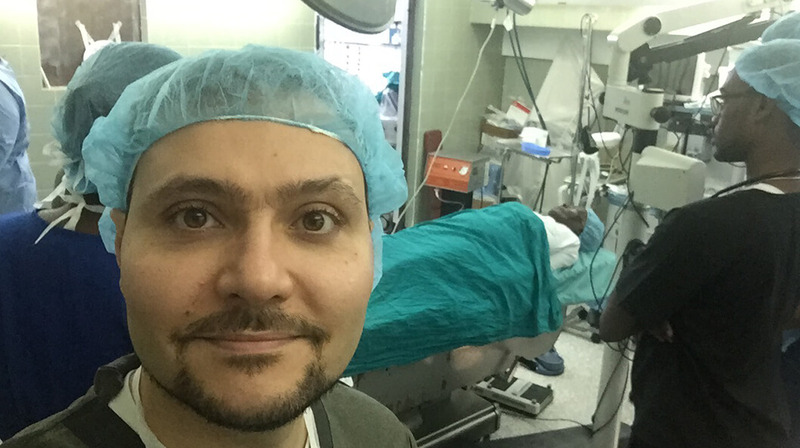 Dr. Al-Ghoul is the surgical director of an organization called Canadian Vision Care. This charitable organization focuses on giving the gift of sight to those in need who would not have the financial means to obtain adequate eye care on their own. 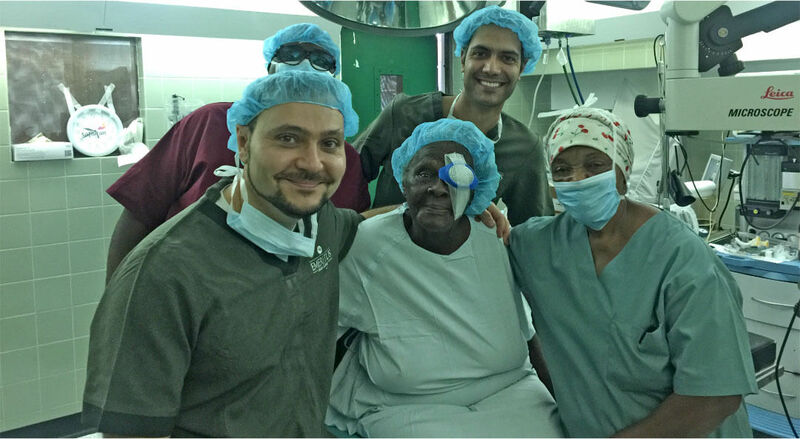 In Jamaica, Dr. Al-Ghoul volunteers his skills and surgical expertise to those who do not have access to or cannot afford proper eye care, by performing cataract . 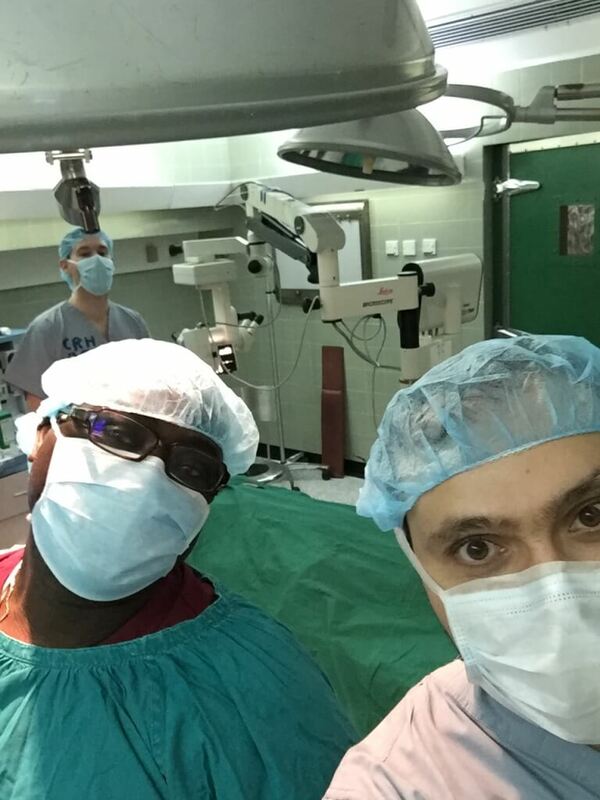 As shown in some of our photos with Dr. Lekhi, this is also an excellent opportunity for surgical residents taught by Dr. Al-Ghoul to go along and take part in these missions. Cataract surgery, while considered routine in Canada, can immensely impact a person’s day-to-day life. Many of the people that are helped through this charitable foundation have cataracts so severe, the resulting decrease in vision can be very debilitating. 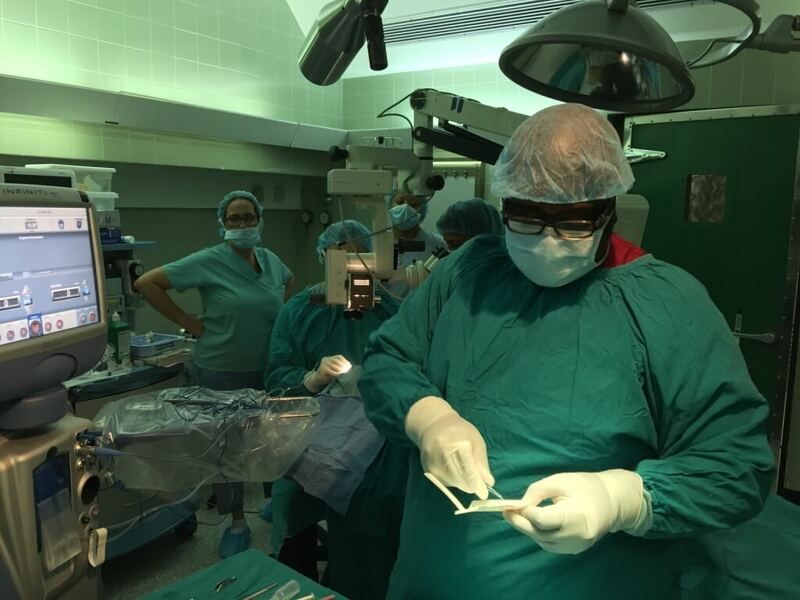 By performing cataract surgeries for these patients, many activities of daily living are completely restored, allowing people to continue to work, care for their families, and enjoy the pleasures of everyday life. In addition to providing cataract surgeries on these mission trips, healthcare professionals from Canadian Vision Care also focus on educating local doctors and optometrists, setting up accessible treatment locations, and bring donated equipment and glasses along in order to aid and reach as many people as possible.